Full website design and coding - from simple CMS (WordPress, Joomla, etc) to static HTML/CSS. 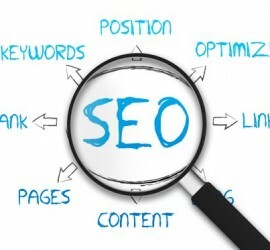 Search Engine Optimisation and Social Media Marketing to get your products and solutions known. 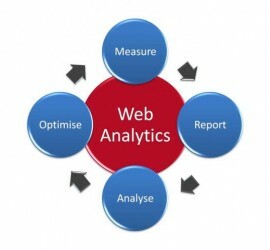 In depth Analytics and Analysis so you always know what's happening with your brand, and why. 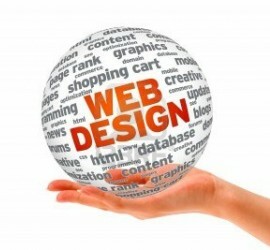 It is not enough these days to simply have a beautiful website. A modern website needs to be aesthetically pleasing but also have a set purpose, and it needs to ensure that its purpose is realised. Here at Acer Websites we don’t just design websites that look great, but they also deliver quantifiable benefits for your business. We make use of any and all tools at our disposal to ensure that your vision is realised – from hard-coding HTML/CSS/Java to customised Content Management Systems which you can, with minimal knowledge, update yourself if you so desire. But what if you already have a website but it is no longer converting? Again, that’s where we come in. It is easy for a website to become out-dated. Design trends and consumer demands change. What converted well last year might be untidy, difficult to use and out of sync with your brand this year – all of which will affect your site’s ability to attract visitors, generate leads and ultimately deliver ROI. Our team of experts are tasked, not with simply creating a new websites for our customers, but with either creating or rennovating our customers’ source of income. But our service doesn’t have to stop there. Having a killer website is only part of the battle to get noticed and stand out from the crowd. Next come tools and techniques to ensure that our friendly neighbourhood search engines (Google, Bing, etc.) also take note of you and help to get your message out to the wider world. Wouldn’t it be nice (not to mention profitable) to be able to type your field of interest or industry into Google and see YOUR business at or near the top instead of languishing in the doldrums of page 253? Of course it would! And that’s where Search Engine Optimisation (SEO) and Social Media Marketing come into play. And yes, you guessed it, we are specialists in that too. so, if you feel that you could and should be seeing more income from the internet get in touch with us and we’ll show you how we can help.